If you’ve noticed your hair getting scanty, or too many strands in the shower drain, our hair care tip would be to check for underlying medical conditions. 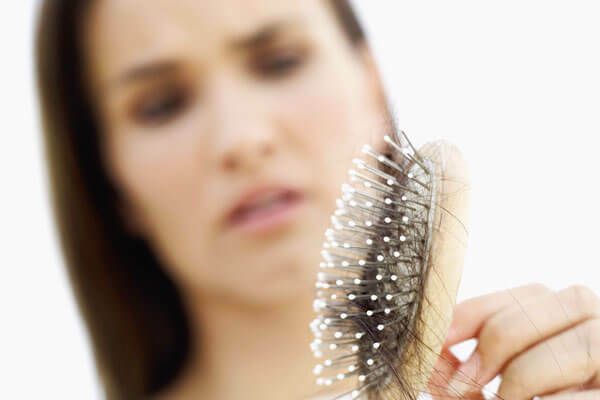 Scanty hair might be an indicator of problems such as thyroid and anemia. Essentially, the healthy growth of hair requires biotin and zinc, both of which can be found in iron-rich foods such as spinach, kale and tofu. Protein is another important factor behind good hair so make sure you increase your intake of eggs, nuts, whole grain and low-fat dairy products. Listen to your grandmother’s words of wisdom when it comes to hair care routines. Oil massages nourish the hair follicles where growth begins, increase blood circulation and help in plumping up fine and scanty hair. 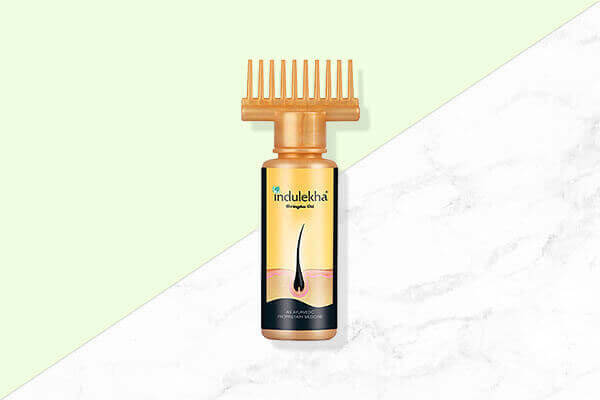 We suggest relying on the Indulekha Bringha Oil. This one’s known for its medicinal properties that reduce hairfall and regenerate hair growth. Like that’s not enough, this oil bottle comes with a ‘selfie comb’ that dispenses the medicinal oil directly on your scalp thereby reaching your hair roots and promoting hair growth. 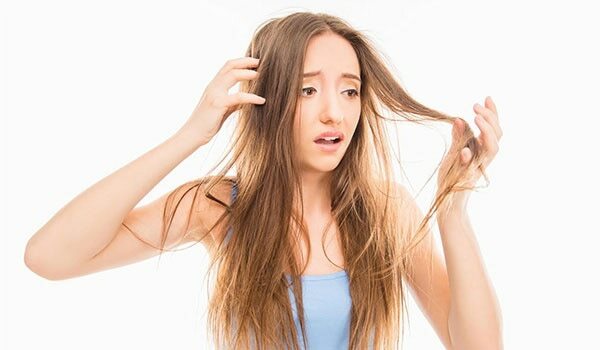 When dealing with scanty hair, an important hair care tip is to be as gentle as possible. Instead of vigorously rubbing your hair, dab the towel onto your hair and then allow it to dry. Make sure you use a water absorbing microfiber towel while doing so. An effective shampoo targeted towards scanty hair, preferably something that will boost volume into your hair is the ideal solution to your hair problems. 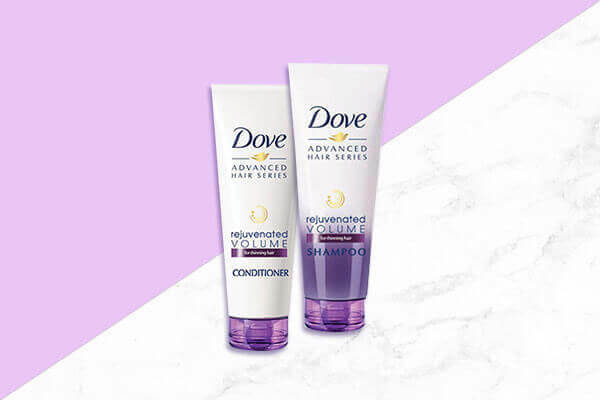 If you ask us, every time we feel our hair needs that voluminous feel, we go for the Dove Rejuvenated Volume Shampoo and Conditioner. This range contains a series of essentials nutrients that will revitalise your tresses and make them voluminous and healthy. You don’t need to wait for an occasion to don a new do. Our hair care tip would be that you try experimenting with shorter, layered hairstyles that make your hair appear voluminous and thick. Despite the temptation, combing scanty hair is a bad idea. This is because it can make your hair appear limper than it already is. Your fingers are the way to go rather than your round brush or comb. Using too many heat styling tools? 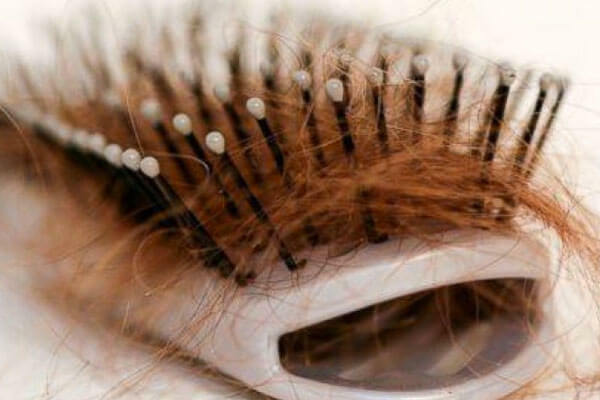 They could totally be the cause of your hair turning dry and brittle. An easy solution and effective hair care tip would be to air dry your hair more often. If in a rush, be sure you use a lower temperature setting on your dryer, or use a heat protectant that will save your tresses from damage.